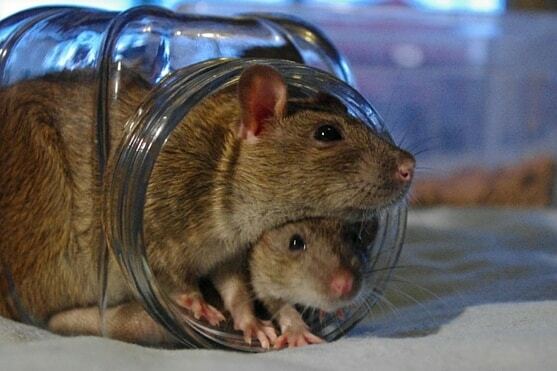 As a rat owner, you always want to get the best possible products for your pet. Whether it’s the perfect cage or the ideal bedding, you could probably spend hours researching the best products on the market. You should look for food for your rat in the same way. Depending on what brand and type of food you purchase, your rat could end up malnourished and unhappy. But, with the proper research and effort, you can find the best food for your pet. 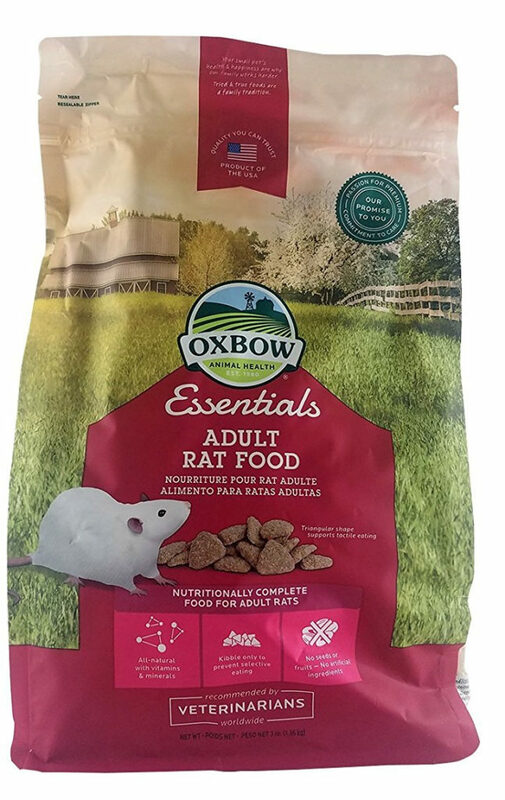 To help you with that effort, we’ve reviewed several types of Oxbow rat food, so you can decide if it’s the best brand for your rat. As the name implies, this particular food is intended for young rats, and is not suitable for adult rats. This food, designed specifically for mice and young rats, should only be fed to a rat of six months old or younger. 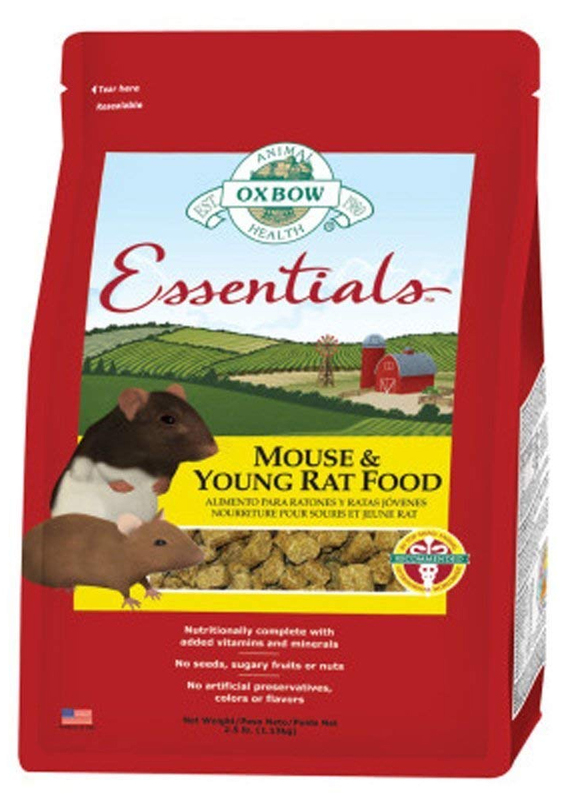 As a bonus, if you have both mice and young rats, you can use this food for all of them. This food comes in pellets, so that your pet rat can’t selectively feed. Selective feeding, especially in young animals, can cause malnourishment or deficiency of key nutrients, which may lead to development issues in your rat. The pellets do not contain any artificial colors or preservatives, and are fortified with extra vitamins so that your rat grows strong and healthy. Purchasers note that this food — is pricier than other foods on the market. Some people also reported that their rats didn’t particularly like the food, although most ate it anyway. Overall, this food is a solid option for owners with mice or with rats who are less than six months old. The pellets prevent selective feeding, and allow your rat to get all of the nutrients and vitamins it needs to grow strong and healthy. However, some people reported that their rats did not like the food, and that this food is more expensive than other foods on the market. 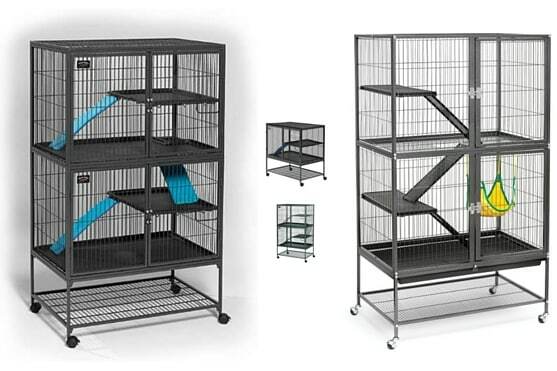 This is very good option for those with young rats, as long as the extra few dollars does not bother you. This rat food, which comes in triangle-shaped pieces, will give your adult rat a well-rounded diet. This food is the natural progression from Oxbow’s young rat food. Similarly, this food also contains added nutrients and vitamins, so that your rat gets everything it needs from its diet. The pieces in this food are shaped like triangles, which is intended to provide your rat with a more tactile eating process. Many purchasers report that their rats loved the taste of this food — even picking it out of mixes with other foods. Some people also reported that the texture of this food helps to keep their rats’ teeth from growing too long, even with rats who avoid wood chews. One common complaint, however, is that this food is expensive. 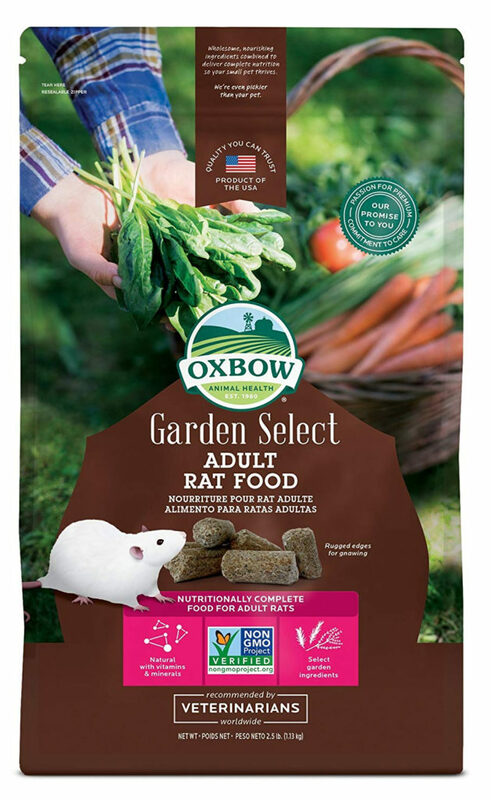 This Oxbow food is an excellent choice for adults rats — most seem to love the taste, and the food gives them a healthy diet while also promoting healthy teeth. 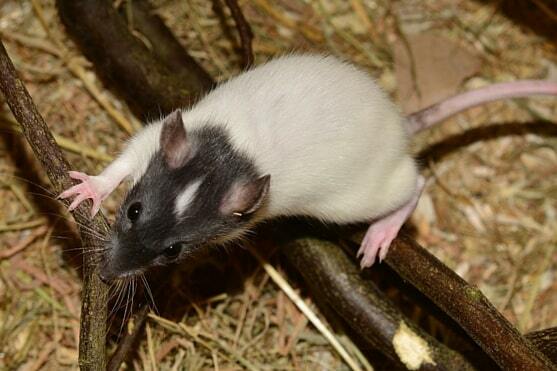 Purchasers rave about the food, and most say that their rats have seemed healthy and happy on this food. However, this food is fairly expensive, which some purchasers have noted is a change from the recent past. Now, a 3-pound bag of food will cost you just over $17. Depending on how many rats a person owns, this may be too much of a financial burden for some. This type of rat food is similar to Oxbow’s other rat food, except that it emphasizes natural ingredients. This rat food is GMO-free and contains “garden ingredients” that are intended to be similar to the types of ingredients that your rat would eat in its natural habitat. The food is balanced in a way that gives your rat everything it needs in its diet. The food itself is shaped in rugged pellets or blocks, which have rough edges that your rat can gnaw on. 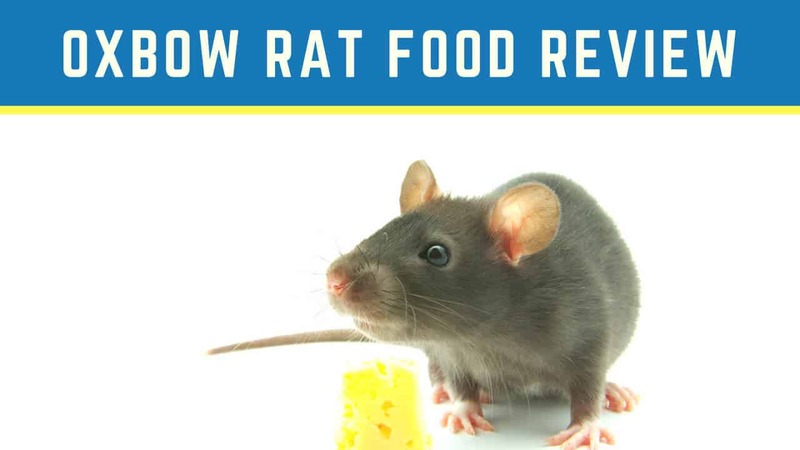 Purchasers reported mostly positive things when they switched their rats to this food. Some rats, however, seemed not to like the food and therefore refused to eat it. One purchaser noted that their rat had an allergic reaction, on the skin, after they switched their rat to this food. Overall, most purchasers at least liked that this food is plant-based, and were happy that they gave it a try. However, some people reported that their rats wouldn’t eat the food, so it seemed to matter little what it was made out of. 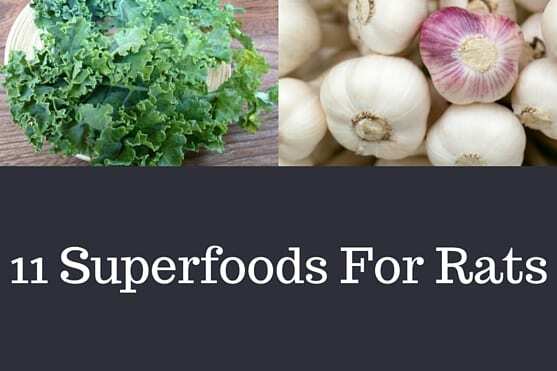 If you’re enthusiastic about giving your pet rat natural foods, then this type is one to try. Make sure to start out with a small bag of the food, though, and keep an eye on your rat to make sure that they’re eating enough food. If you’re looking for the perfect food to feed to your pet rat, then the key is to do your research. Once you’ve found a food you think will work well, then go ahead and give it a try. Just be sure to keep an eye on your rat’s health and eating habits. As long as you pay attention to how your rat reacts to a new food, then you’ll find the perfect balance in no time.